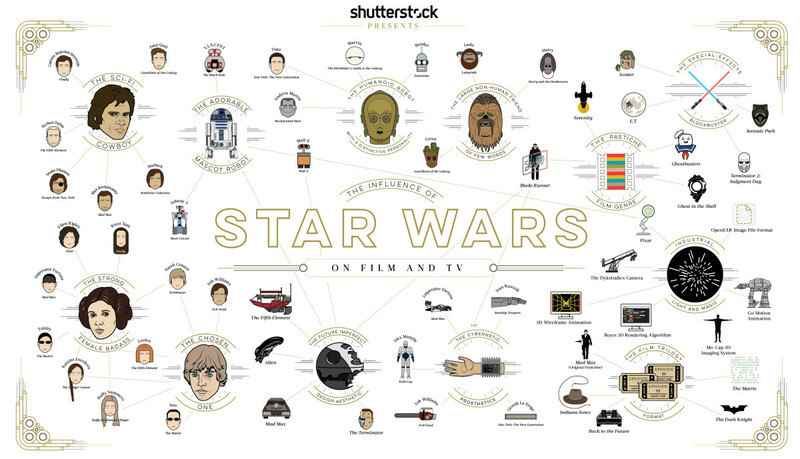 It’s no secret that the Star Wars series is one of the most influential movie franchises of all time. With the upcoming ‘The Force Awakens‘ finally arriving later this year, Shutterstock and Pop Chart Lab are visually revisiting the series’ influence on film and television visually via an awesome infographic. There are several more, including character trips like ‘the humanoid robot with a distinctive personality as well as technical achievements that are now commonplace. You can read more about the infographic and download the full version on Shutterstock’s Blog.